This relish can be made ahead of time and is delicious as a sauce for sauteed soft-shell crab or grilled salmon. What better way to make use of the frenzy of vegetables that bursts on the scene in midsummer than these easy grilled skewers, all dressed up in pesto vinaigrette. Keep it fun and simple by loading the skewers with whatever mix of fresh, seasonal vegetables you find at the market. Photo to the left by Peter Frank Edwards. The perfect combination of sweet and tart, thinly sliced bread and butter pickles are the quintessential all-purpose sandwich toppers, delivering lots of big, punchy flavor in a small package. They make such a satisfyingly crunchy snack that—if you’re anything like me—you’ll soon graduate from layering them in sandwiches to munching them straight from the jar. This is my grandmother’s recipe for make-ahead yeast rolls. The dough keeps up to 2 weeks in the refrigerator and is extremely versatile. 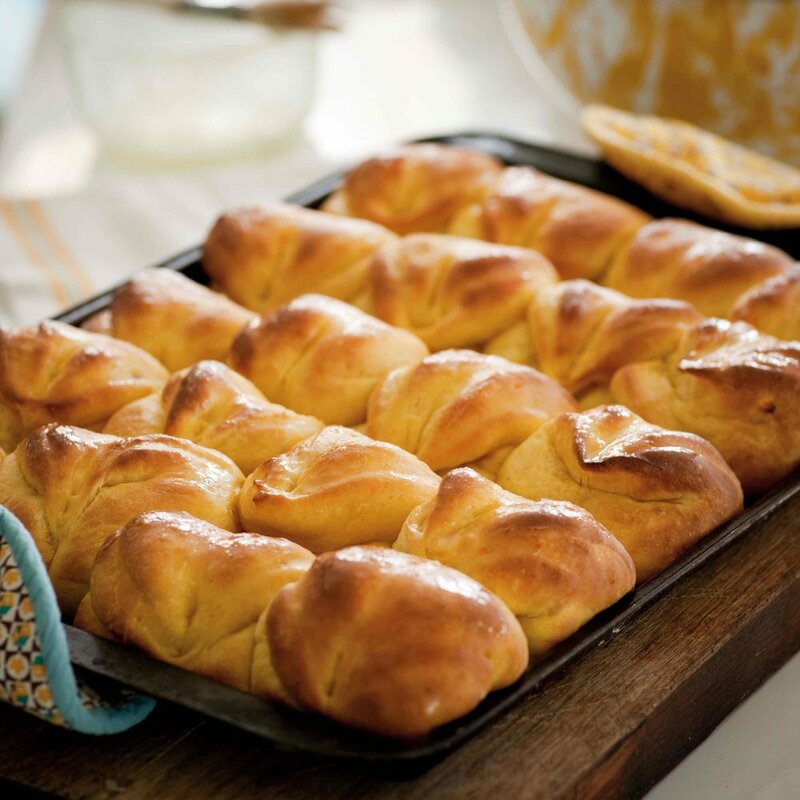 If you love to bake, I highly recommend having this dough on hand for Killer Pecan Sticky Buns, Sticky Orange-Coconut Pinwheels, and Hot Cross Buns with Raisins, Apricots, and Cranberries, as well as for these delicious dinner rolls. For a take on an old-fashioned TV dinner, serve with Roasted Vegetable Meatloaf, Mustard Mashed Potatoes, and Strawberry-Rhubarb Crisps with Cardamom & Nutmeg. 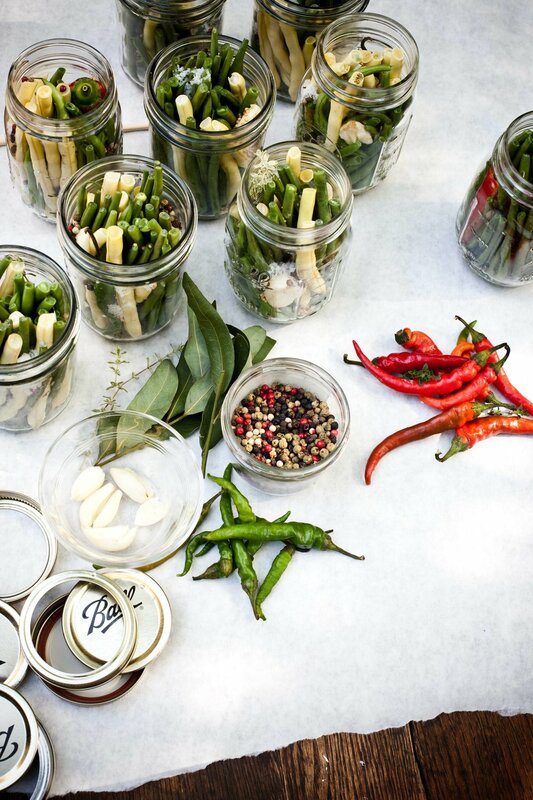 If you don’t want to fire up the grill, you can blanch or roast the asparagus instead. You might want to make a little extra vinaigrette to have on hand; it’s delicious on mixed baby greens, grilled turkey and chicken, and most any sandwich. Like all vinaigrettes, this one can be made several days in advance and refrigerated until ready to use. This easy, make-ahead dish can be served as a vegetarian main course with a side dish of Balsamic-Roasted Vegetables. Or serve as a side dish for Chicken Breasts Stuffed with Prosciutto and Sun-Dried Tomatoes or Braised Chicken Thighs with Chèvre Stuffing. When choosing portobello mushrooms, look for those that have a pleasant, earthy scent and are firm to the touch. Be sure to check the gills, which should not be wet. Heartier, creamier, and more custardlike than a classic soufflé, this dish is also easier and less temperamental. It’s especially good for people who think they don’t like grits; we find they always come back for seconds! 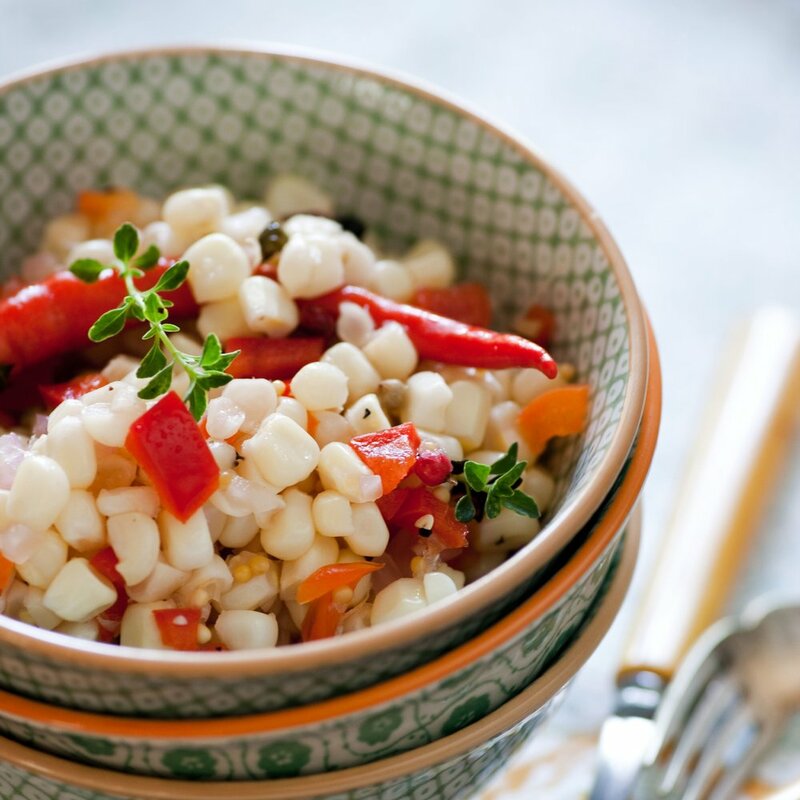 With the added spiciness from the peppers and texture from the corn, this dish is also delicious as a side to Balsamic-Roasted Chicken or Salmon Cakes with Crunchy Corn Relish, or Foster’s Salsa. If you don’t have a soufflé dish, you can use a shallow baking dish, but adjust the cooking time accordingly, since it will cook faster.